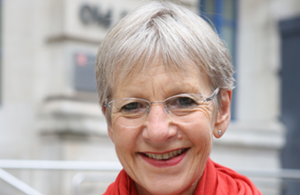 The Prime Minister has appointed Dame Shirley Pearce as a member of the Committee on Standards in Public Life following an open competition. Shirley has held senior executive and non-executive roles in higher education, health and policing. She is currently Chair of Governors of the London School of Economics and Political Science, a member of the Higher Education Quality Assurance Panel for the Ministry of Education in Singapore and a Trustee for the Royal Anniversary Trust. In 2013 Shirley was appointed by the Home Secretary as the inaugural Chair of the College of Policing (the first professional body for policing) where she oversaw the introduction of the first Code of Ethics for policing based on the Nolan Principles. She was also a Board member of the Higher Education Funding Council for England, the Healthcare Commission and Health Education England. She was Vice Chancellor of Loughborough University from 2006 – 2012, where she delivered a new strategy for the university which saw a significant increase in turnover, closer working with industry partners and research success in the Research Excellence Framework alongside a top rated student experience. Earlier in her academic career she held appointments at University College London (UCL) and the University of East Anglia (UEA) where she established a new medical school with an innovative curriculum and a focus on primary care and inter-professional learning. In 2005, Shirley was awarded a CBE for services to education in the National Health Service and in 2014 was appointed DBE for services to Higher Education. Shirley takes up the post effective immediately for a five-year term. Her appointment was made after open competition in line with the Cabinet Office Governance Code regulated by the Commissioner for Public Appointments. The Committee is currently conducting a short review of MPs’ outside interests and an inquiry into ethical standards in local government.